Making sure your car or van is regularly serviced is crucial in ensuring that it is running correctly and that any problems are detected and resolved before they have time to grow and become larger issues. With the help of the team here at Pitstop Tyre & Exhaust Centre Ltd you can have a thorough service of your vehicle for a fair and competitive price. You can be reassured that having your car serviced here will not affect your manufacturer’s warranty. We hold all the relevant information to ensure your scheduled service is carried exactly as it should be. Once your service is completed we will provide you with a detailed service report, we can quote you free of charge on any recommended repairs and stamp your service book. With the help of our skilled and knowledgeable mechanics we can provide fast and thorough service or your private and commercial vehicle and aid with any issues that you may have. Whether you’re brakes need looking at, some funny noises coming from your engine or you simply need a new set of tyres, we can help with any work needed after one of our services have been completed. We can offer while you wait servicing with free refreshments available if required. 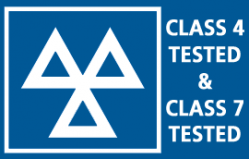 All of our technicians are fully qualified mechanics and are completely up to date with all of the manufacture’s training meaning no matter what vehicle you are bringing to us, we can help. Our mechanics are always happy to help with any enquiry that you may have, no matter whether you need a quote on a new set of tyres, a new exhaust or if you need to book your vehicle in for servicing, we are able to help. If you need our assistance, please do not hesitate to get in touch with us and we will endeavour to help with your enquiry quickly and professionally. To reach our garage to arrange vehicle servicing or repairs, call us on 01443 756889, send us an email via our Contact Us page, or pay us a visit and speak to a member of our team.